Home specifications Should we take construction specifiers seriously? The answer: Yes! Should we take construction specifiers seriously? The answer: Yes! It can be easy to take the specification writing process for granted, but is this wise. This is the website of Innovative Technology Inc., which provides specialized specification software in Canada. 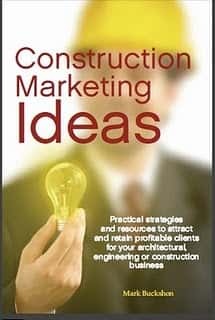 Sometimes an effective architectural, engineering and construction marketing concept can be so close to you that you take it for granted. I realize now that my thinking about marketing to and with construction specifiers fits this category. This may have been an error on my part, because the one thing you should not do is take one of the most important sleeper marketing categories anything but truly seriously. The key to understanding specifier-related marketing is the incredible dichotomy between construction specifiers’ influence, and their organizational power/status. In middle-to-large architectural and engineering practices, specification writers are often seen as functionaries and technicians. They are below the professional architects and engineers in compensation, respect, and internal authority. Yet when they work at their computer desks, interpreting their organizations’ design guidelines into hard construction contract documentation, they can influence which building technologies are applied, and which materials are used. In some cases, they can mandate a specific product/service — meaning whichever manufacturer or service provider is listed, must win the supply/service contract, no matter which contractor ultimately wins the work. Talk about power without status! Undoubtedly, many manufacturers, as well as general contractors and a few downstream trades, have realized the specifiers’ importance in the marketing and business development eco-system, and they have implemented the generally recognized best practices in building relationships and marketing to this community. They join and participate in relevant specifiers’ associations. (In Canada, this would be Construction Specifications Canada (CSC), and in the US, they would join the Construction Specifications Institute (CSI). Joining these groups isn’t enough. Engagement and participation in local chapter activities, and attending and perhaps contributing to regional and national conventions certainly can pay off. There is an argument as well about learning the nuts and bolts of the specification-writing process by taking relevant CSC/CSI certification courses. 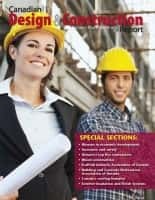 If nothing else, these courses will teach you how to draft relevant section specifications more likely to be used than ignored and you’ll gain the ability to get into the specification writers’ mind-space. In the UK, you may find value in Chris Ashworth’s materials — there are counterpart construction specifications organizations around the world. Specialist software/service providers for this community also have relevance — consider, for example, in Canada Innovative Technology Inc., which provides specialized specification writing software. I’m writing this post with the realization that I’ve put the specification writing/marketing process in the “taken for granted” mindspace, perhaps because of my long-term engagement with the specifications community and relationships with many individuals in it. In this aspect of AEC marketing, indeed I’ve been practicing what I’ve been preaching — but not talking much about it.